Okay you know that picture is a joke. I don't think the Pope even uses a computer. So I did a sloppy cut-and-paste with PaintNet, and...well... that's my fun for the day! 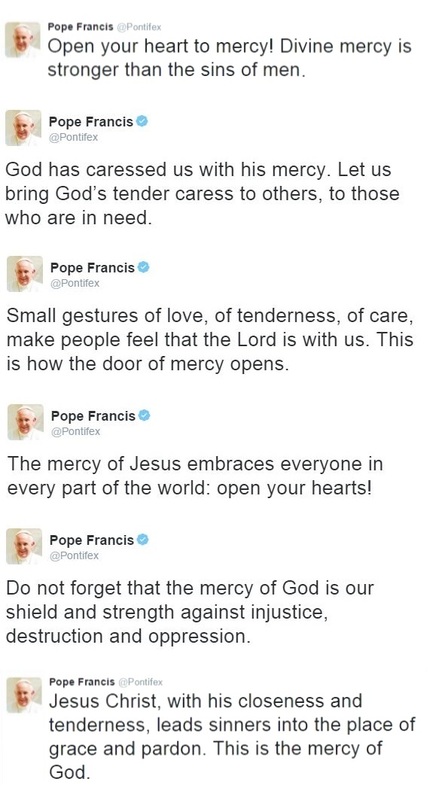 Seriously, even though the Pope has someone else do the actual posting, he's been giving us plenty to ponder recently on his Twitter account. 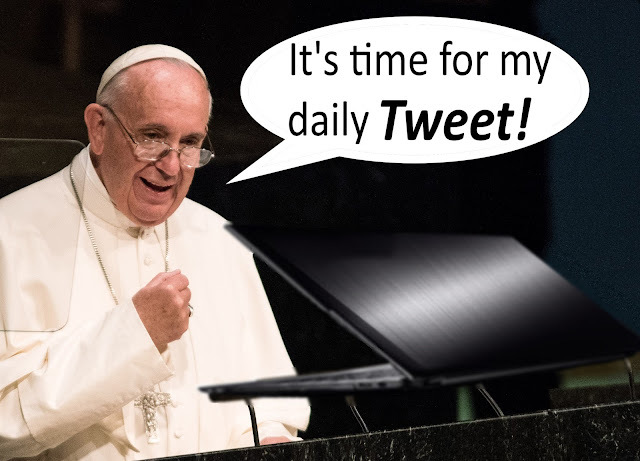 I wonder what would happen if we took up and prayed about the theme of the daily tweet that Pope Francis sends out in seven languages (including Arabic). What if we allowed it to guide even a few moments of prayerful consideration and comparison with our own lives and priorities? This brief meditation could bear much fruit.